Sam approached me at our grand opening party about two years ago. He had just moved to California with an unfinished track-car project. He said it didn't have any windows, the cage needed to be finished, it needed seats mounted and a bunch of other random bits to put it back together. 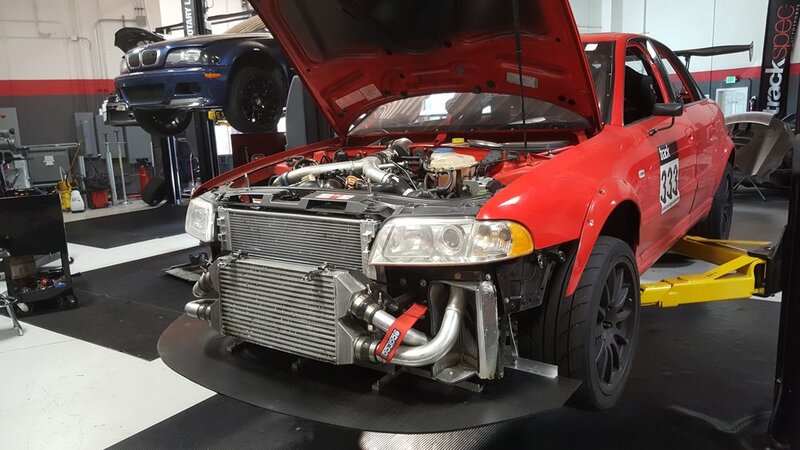 As I started to show interest in completing this project for him, he casually mentioned that the main wiring harness had been cut and the car would no longer start. He was having trouble finding a shop that wanted to work on it. I wasn't too enthusiastic about a hacked wiring harness in a car I wasn't familiar with, but I decided to accept the challenge anyway. 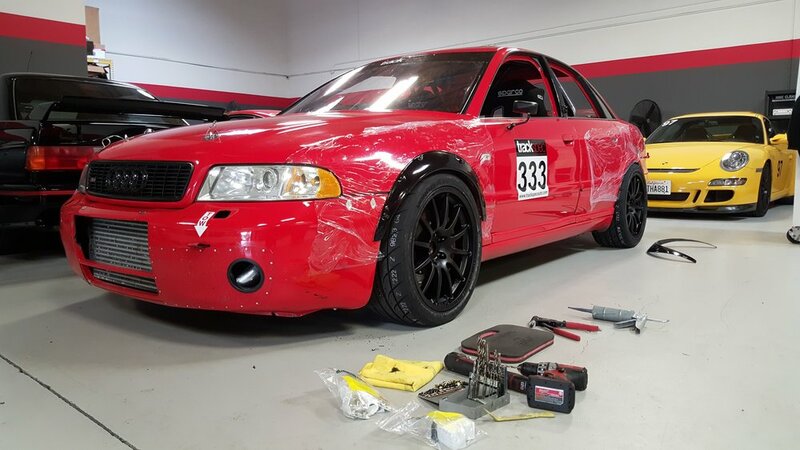 Sam drops off his Audi in pieces and half of the car's wiring in a plastic container. To get the car running again, we needed to replace the chassis harness. Too much of it had been cut and it would have taken forever to figure what which wires were critical and which were not needed. We also had to wrap up some parts of the fuel system and intake that were left unfinished. Luckily, Sam was able to find a cheap donor car for us to take parts from. We also bought some sheets of polycarbonate and cut out a rear window and front windshield. Sam painted the interior and cage himself. Not too shabby, Sam! Sam picks up the car for a shake down at the track. After a couple of track events in the car, Sam decided it was time to do some upgrades. 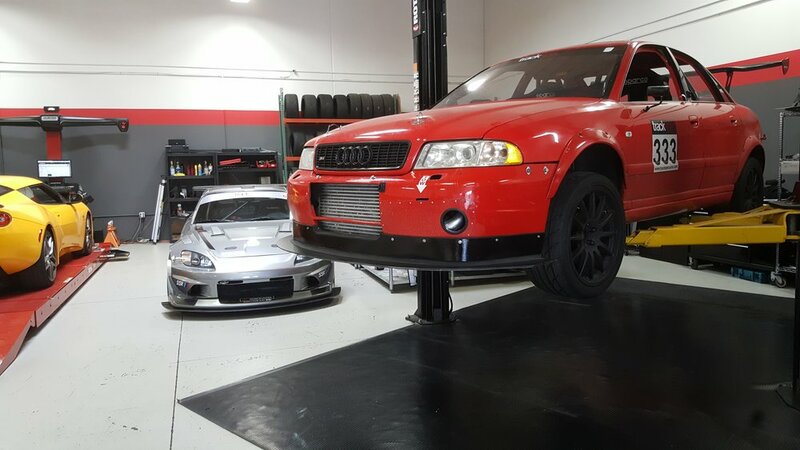 We started off with a set of coilovers, wider wheels and tires, and some adjustable control arms to dial in the alignment. 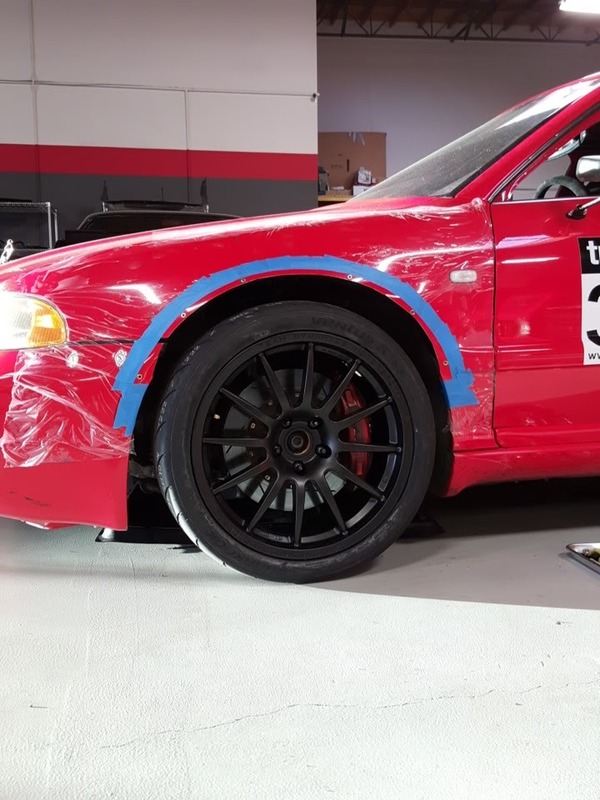 To accommodate the wider wheels and tires, we had to install some fender flares. 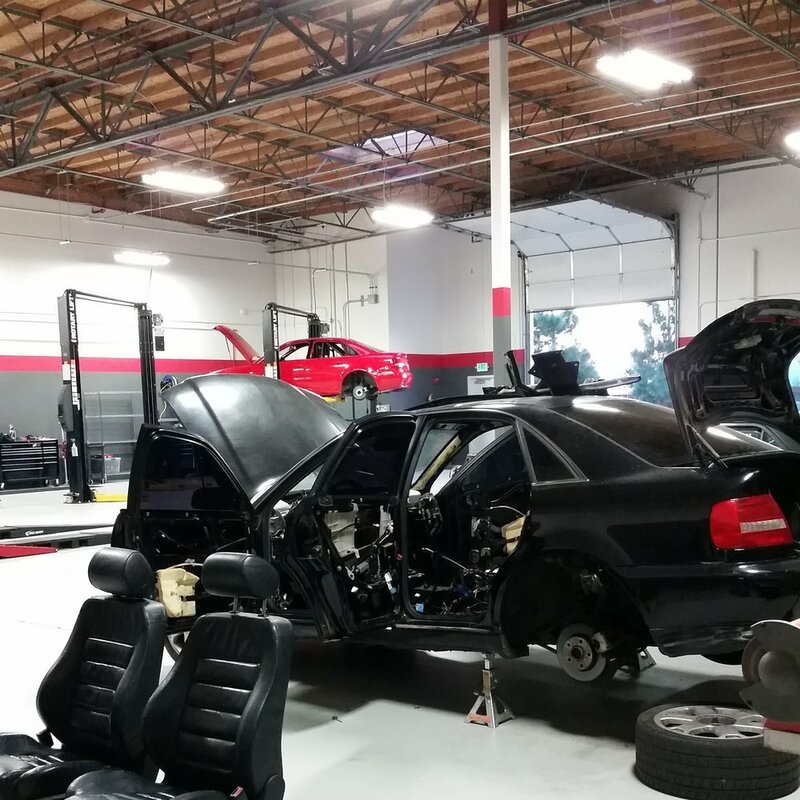 Unfortunately, the Audi had a turbo failure and replacing it meant the motor had to come out. This was a good time to upgrade the turbos, valve train, and do some maintenance on the motor. 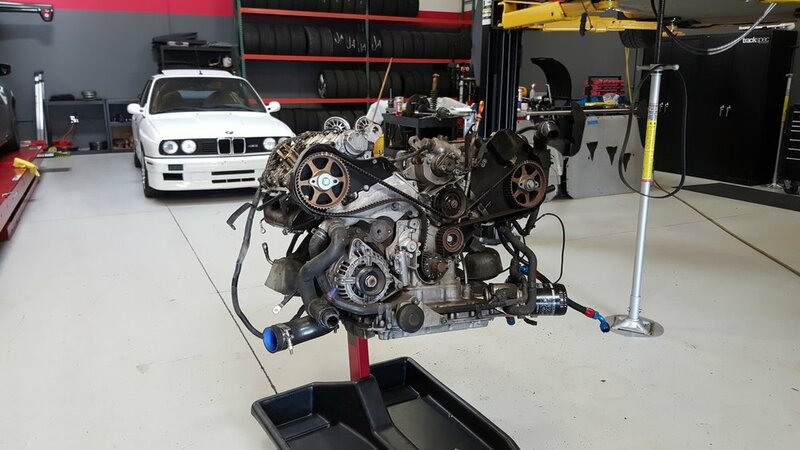 Sam decided to go with 034 Motorsport's Stage 3 kit with k04 turbos on a 100oct fuel. This car was easily making over 400 horsepower to the wheels. We also ended up rebuilding the transmission using JH Motorsports rebuild kit and updated 1-2 shift collar. To stay cool, we added an aluminum radiator and oil cooler. Some sheet metal was used for ducting to the oil cooler. Sam's new set up would not pass sound at Laguna Seca, so we made a Laguna pipe using a resonator and a 90 degree bend. The resonator was pretty heavy, so we used a steel cable to support it. It was time for some downforce! After installing the rear wing, we fabricated some brackets to help spread the load. This was the best solution we came up with while keeping the trunk functional. Sam asked us to build a custom front splitter, so the first step was to make a template out of some MDF. Once we were happy with the shape, we cut the foam core for the final piece. We added some steel spacers to the core to keep the splitter from crushing when bolting it to the car. 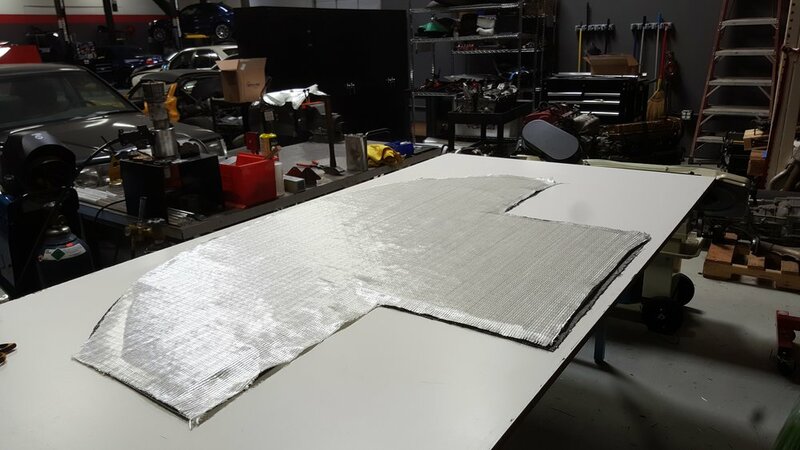 We put down a few layers of carbon fiber, fiberglass, and started the resin infusion process. 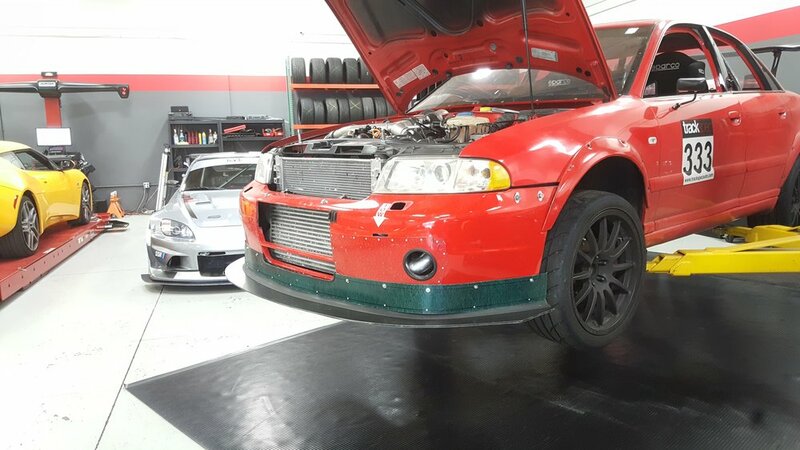 Our splitters undergo multiple stress tests before receiving the Trackspec stamp of approval. To finish off the splitter, we built an air dam out of a strip of fiberglass. And then painted it black. 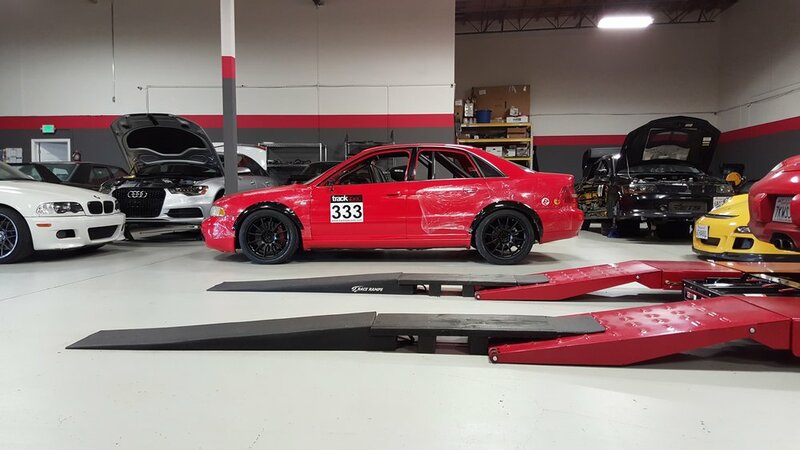 Since his car was "completed," we've been to many trackdays together and it has been amazing to follow Sam's improvements as a driver, along with the transformation of his car. Trevor Ryan took some amazing rolling shots of Sam's car at Thunderhill. Two years later, this S4 is displayed in the shop for our two year anniversary party. We are grateful for being a part of this project and the friendship we have built with Sam.